A huge thank you to all those who donated canned food last month to our food drive! Your thoughtfulness is greatly appreciated. 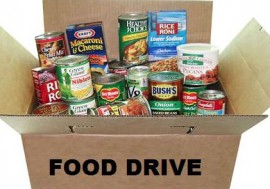 This entry was posted in Reminders and tagged canned food drive, donations, food drive, thank you, thanks, Thanksgiving. Bookmark the permalink.